In twentieth century Vienna, the art of Gustav Klimt held a primary position. 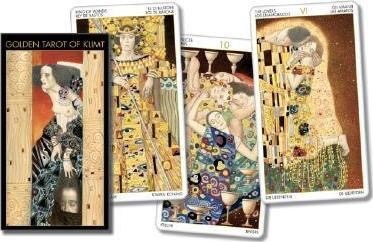 Inspired by this modern master, Golden Tarot of Klimt is teeming with impressions, stamped in gold, that recount love, death, sensuality, and regeneration. 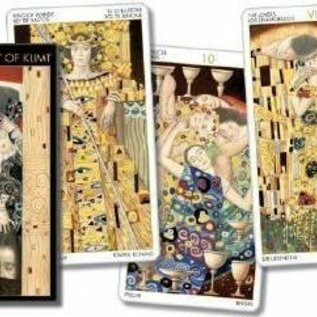 The art of Gustav Klimt (1862–1918), filled with symbolism, passion and eroticism, have become so popular that they appear everywhere, from posters on college student’s walls to coffee mugs, from stained glass imitations to ceramic tile. His piece, "The Kiss," is virtually iconic and his painting of Adele Bloch-Bauer sold for $135 million in 2006, the highest price ever for a painting.